The Perfect Derma Peel is a safe, and effective medium depth peel that can be used on all skin types & ethnicities. The Perfect Derma Peel is the only chemical peel on the market that includes the powerful anti-oxidant Glutathione. Glutathione lightens and brightens the skin, while slowing down the aging process, smoothing fine lines and wrinkles, while reducing hyperpigmentation, melasma, active acne and acne scars. To ensure full benefits of the Perfect peel, a patient will need to follow proper after care, and take all listed precautions to obtain maximum positive results. Although sunblock should be part of a daily routine, this peel will require you to religiously apply a sunblock with high zinc oxide once peeling has occurred. No sun exposure is allowed until the healing process of the skin is complete. This is mandatory as to avoid any post inflammatory hyperpigmentation. All Perfect Peel patients will be given a post-procedure home kit. This kit includes after care directions, 2 toilettes to apply, as well as sunblock and specialized moisturizer. The following morning after the peel, patients will use the 1st towelette to intensify the strength of the peel. This will not be washed off. At bedtime and after a gentle face wash, the patient will then apply the 2nd towelette to clean dry skin and this coating will be left on until morning. To avoid any Perfect Peel residue from transferring to pillows and sheets, or migration to lips or upper eyelids, it is advised to avoid sleeping on your face for 3 nights. Exercise, sweating, wearing makeup and exposure to heat should be avoided during this crucial time. Since skin will be sensitive during and after the peeling process, until PH levels are returned, simple moisturizers with no irritants are mandatory. No glycolic, Aha’s or acne products should be used to avoid scarring, and post inflammatory hyperpigmentation. Any forms of hair removal and sun should also be deferred. Patients are to AVOID any temptation of, picking, rubbing, or pulling on any skin that may be shedding, as this can cause severe damage to the new delicate skin forming below the superficial surface. The Perfect Peel blends Glutathione, kojic acid, TCA, retinoic acid, salicylic acid, phenol, and a blend of minerals and vitamins, including vitamin C. Kojic acid is a powerful lightening agent proven to increase collagen and elastin production, resulting in skin that is brighter and tighter. TCA, phenol and retinoic acid reduce wrinkles and correct pigment problems, while salicylic acid exfoliates the skin and reduces inflammation. Alone these ingredients are powerful, but in combination they produce results that are astonishing. The Perfect Peel is the first peel to contain Glutathione! The main purpose of glutathione is to actually protect the cells of the body from the harmful toxins. Glutathione is known as the master anti-oxidant in the body. Glutathione has numerous anti-aging benefits and is one of the most important and powerful anti-oxidants found in each and every cell in our body. Glutathione is very important at detoxifying your cells by removing toxins and free radicals. Lasting Looks Clinic in Toronto is excited to offer The Perfect Peel, which uses Glutathione as one of its main ingredients. The Perfect Peel is not your typical chemical peel. With the Glutathione you not only get the anti-aging benefits, it will also reduce brownspots, age spots, hyperpigmentation, fine lines and give you a brighter, clearer, lighter, and even toned complexion. This peels is also great for active acne as well. Get the power of Glutathione in The Perfect Peel. 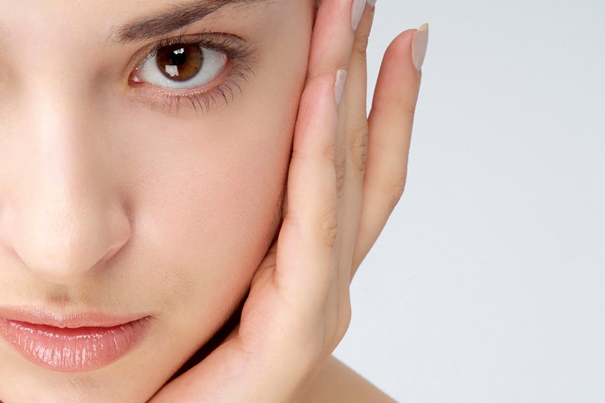 Lasting Looks Clinic in Toronto can confidently say that perfect skin is just a peel away with the Perfect Peel. 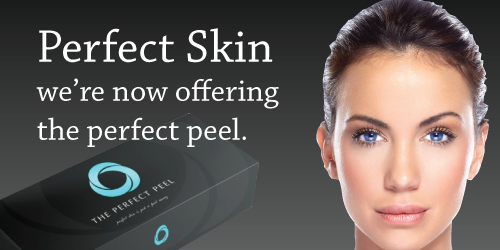 What sets this peel apart from other chemical peels is the exclusive formula found in the Perfect Peel that offers results that no other peel has ever been able to attain and is suitable for all skin colors and types. Perfect Peel uses a key anti-aging ingredient named Glutathione. Glutathione is an anti-oxidant that is proven to prevent damage to the cells caused by free radicals and peroxides. We all have Glutathione in our body but as we age. it is depleted due to stress, sun exposure, pollution and other environmental stresses. Glutathione has been proven to reverse melanin metabolism, this is what gives your skin color. 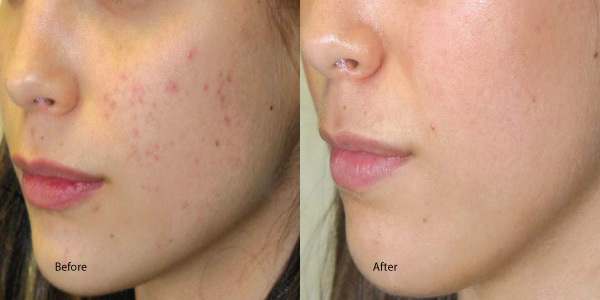 Glutathione reverses dark pigmentation. The Perfect Peel is not intended as an overall skin bleaching procedure but rather as a way to reduce and reverse hyper pigmented areas on the skin. The Perfect Peel works from the inside to improve pores, diminish fine lines and wrinkles, clear active acne and marks plus reduce hyper-pigmentation. You will have a few days of significant peeling but the results are well worth the social down time. 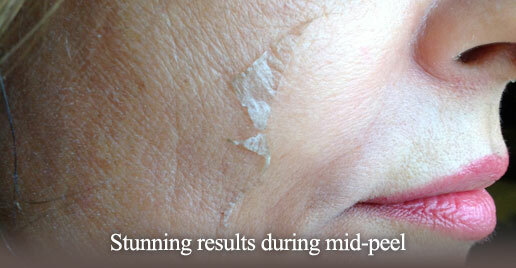 At Lasting Looks Clinic in Toronto Perfect Skin is just a Perfect Peel away. The Perfect Peel at Lasting Looks in Toronto is a professional medical strength Chemical Peel that in one word is just that “PERFECT”! The Perfect peel is new type of Chemical Peel being offered at our clinic. What makes the Perfect Peel the ideal Chemical Peel is that it uses a very unique combination of acids as well as a key ingredient that has never been used before in any chemical peel-GLUTATHIONE. Glutathione is the ultimate anti –oxidant and is known for its ability to prevent cellular damage by free radicals and peroxides. Glutathione has been proven to reverse the melanin’s metabolism. What this means is that it turns hyper (darker) pigmented areas into lighter more even pigmentation. Glutathione and the other chemical ingredients in the PERFECT PEEL result in a brighter clearer less sallow complexion. 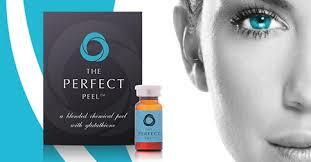 As far as Chemical peels go the Perfect Peel at Lasting Looks Clinic in Toronto is amazing. The Perfect Peel at Lasting Looks Clinic in Toronto is classified as a Jessner peel. Within a few days of having the Perfect Peel Chemical Peel you will experience peeling of the skin which will continue anywhere from 3-6 days. Generally in one week from the day of your Perfect Peel your skin will be glowing, brighter, have more refined pores and even color with melasma and pigmentation diminishing as well as a reduction in scarring. The best part of the Perfect Peel at Lasting Looks in Toronto is that in the next few weeks your skin continues to improve and become less sallow and brighter. The Perfect Peel can be repeated at the 3-week mark, depending on the individual treatment plan designed for you. So if you want clearer, healthy, brighter and lighter skin as well as improved tone, texture, pore size and reduced marks and scarring the Perfect Peel is the ideal Chemical Peel for you to have.